On June 22nd, at St. James Community Square 3214 West 10th Avenue at Trutch, a public meeting will take place concerning the building of ‘rail‘ transit on or under Broadway. What is of no great surprise, Translink has vastly ‘ramped’ up the cost for building modern light rail, with needless over-design. This is the tired old trick that plays so well in the Vancouver region, gold-plate a light rail project with so much needless engineering, that the costs of construction near that of its much more expensive cousin, light-metro (RAV & SkyTrain). Elevating LRT greatly increases construction costs, taking away a major advantage of LRT over light-metro! From a 2009 BARSTA (Business and Residents for Sustainable Transit Alternatives) document ……. ……. which shows the cost of a VCC/Commercial Drive to UBC, streetcar costing $370.7 million yet LRT built on the same route would cost almost three times as much as $998.7 million or almost $1 billion! The difference between LRT and a streetcar is the concept of the reserved rights-of-ways (RRoW) and priority signaling at intersections; then why an almost three-fold cost of construction for LRT? Simple RRoW in Europe, denoted by colour and small curb. The answer is simple; gross over-engineering by planners and engineers to artificially increase the cost of LRT to make it as expensive or more expensive than elevated SkyTrain or subway transit options! In other parts of the world, this is known a professional misconduct, but in Vancouver it is business as usual! 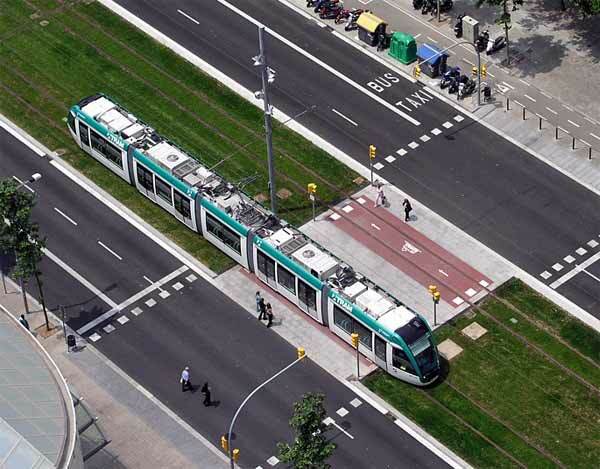 Vancouver already had a demonstration LRT line – it was of course, the temporary Olympic Line, which operated on a full RRoW, using two Bombardier Flexity tram cars, borrowed from a delivery to the Brussels tram system. It is the RRoW, which can be as simple as a high occupancy lane (HOV) with rails or as elaborate as the Arbutus Corridor, which allows modern light rail unfettered operation, with operational parameters on par with light-metro! 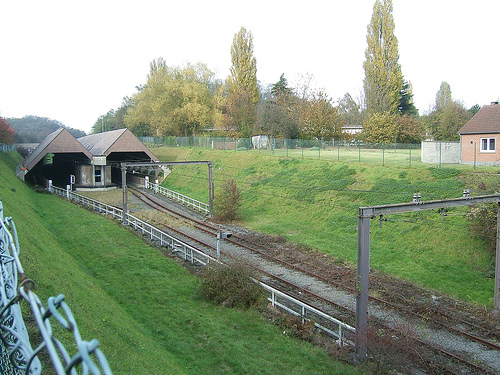 Lawned RRoW and modest LRT/tram station in Europe. 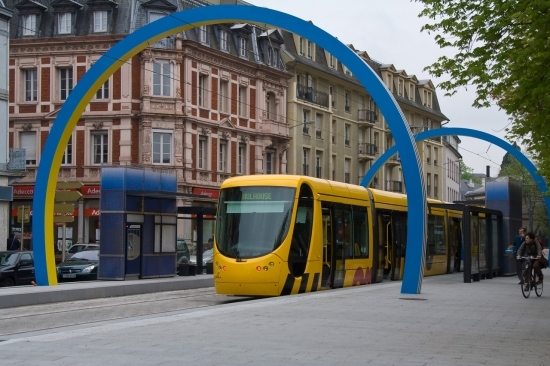 By using the concept of the RRoW, station/tram-stops every 500m to 600m, with priority signaling at intersections and using the current power-poles and span wires now used by the trolleybuses, we could keep the cost of of a VCC/Commercial Drive LRT under $450 million or just slightly more than a basic streetcar line! Or better yet, a UBC/BCIT/Stanley Park LRT, costing under $1 billion, which would offer even more convenient destinations for the transit customer and would offer a real alternative to the car! The powers that be, just do not want modern LRT operating in Vancouver and continue to over-engineer and gold-plate light rail/streetcar projects to make them unaffordable and unattractive to politicians, taxpayers and residents. The following is a quick primer for those advocating for modern light rail on Broadway. 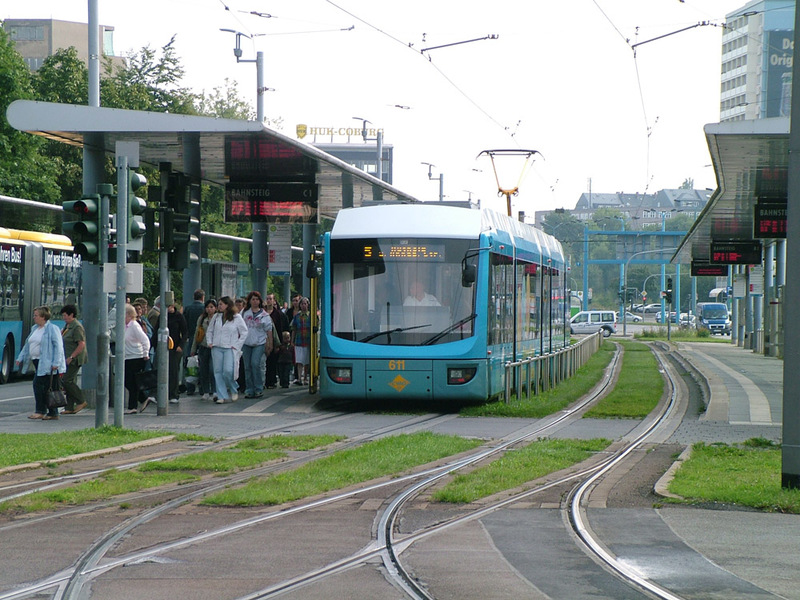 Capacity of modern LRT and streetcar/tram can exceed 20,000 persons per hour per direction. The capacity of a modern modular tram/LRT car now exceeds 350 persons. Modern LRT is 100% accessible for the mobility impaired without the need of expensive stations, elevators and escalators. Speed of a transit system is not the prime factor in attracting ridership, rather the overall ambiance, accessibility and ease of use are more important than speed. In fact it the the combination of many factors that attracts ridership to a public transit system. Priority signaling does not cause traffic gridlock at intersections. In fact, the light sequence for a tram/auto intersection at an intersection is much less than an auto/auto light controlled intersection. 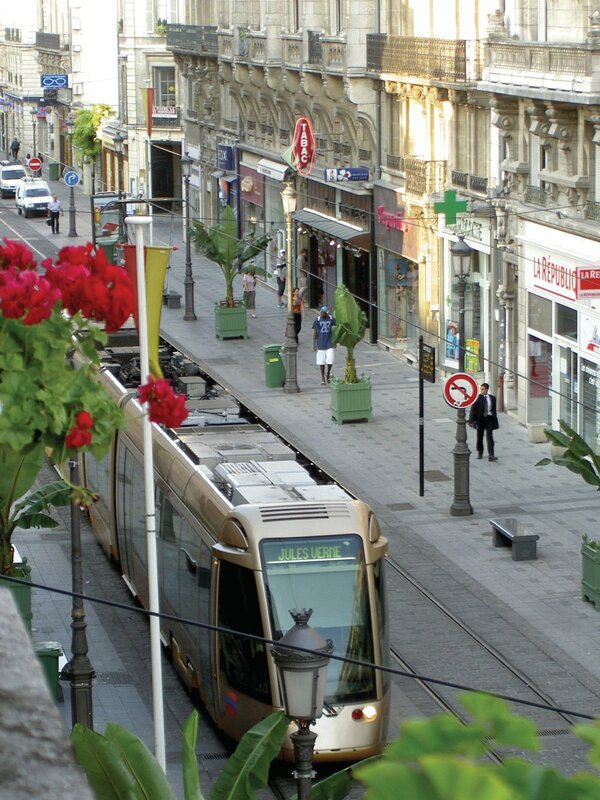 Modern LRT/streetcar/tram is one of the safest public transit mode in the world. Transportation capacity on Broadway will be increased by about 18,000 pphpd, by using a LRT/tram in one traffic lane per direction. Businesses along a streetcar/LRT route see about a 10% increase in business. There will be substantial operating costs savings by using LRT/streetcar instead of buses. 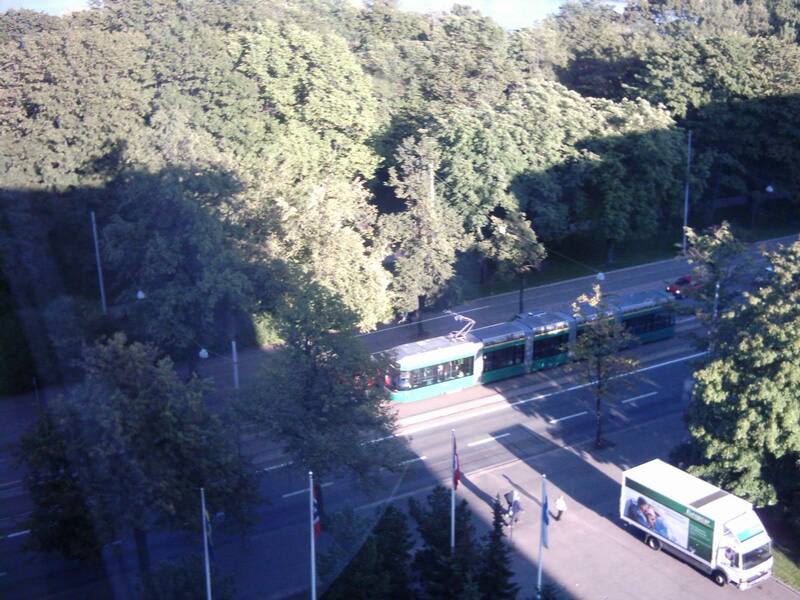 One modern tram (1 driver) is as efficient as 6 to 8 buses (6 to 8 drivers). 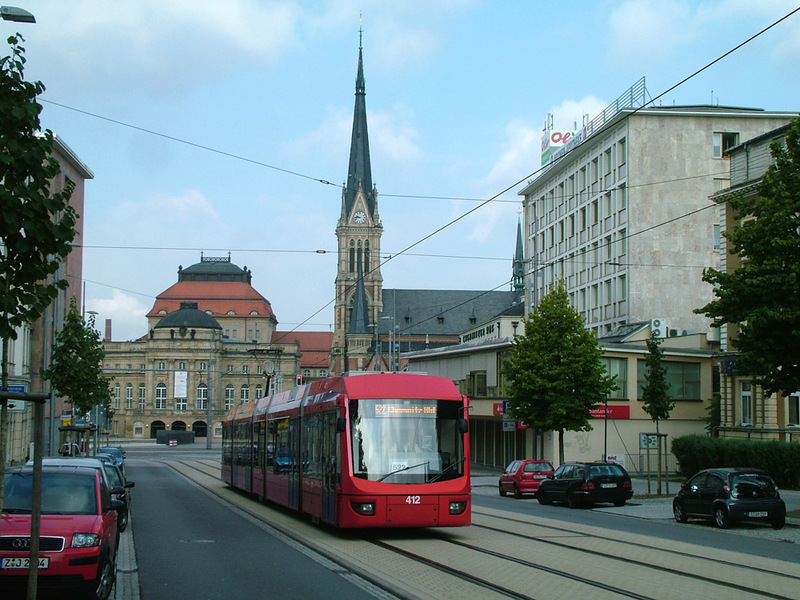 Modern LRT is very flexible in operation and could carry freight, as in Dresden, operate vintage trams and streetcars, or be used by specialty operators like a dinner tram. There is no truth that by building LRT will take away curb parking for local merchants, this is a decision by Vancouver’s Engineering Department to scare away support for LRT. 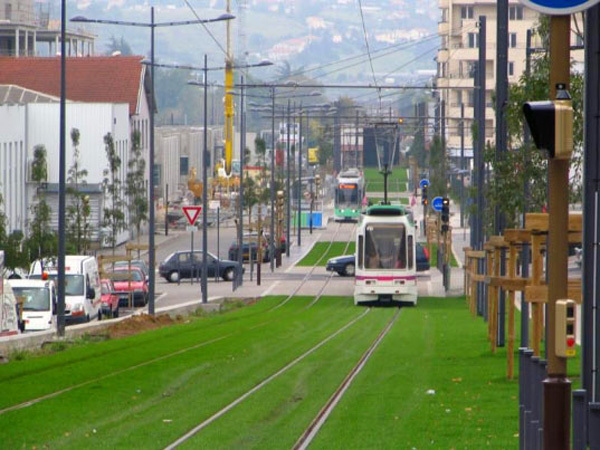 Tram stops would be between 500m to 600m apart as studies have shown that the greatest amount of ridership for a LRT system comes within 300m radius of a tram line. Signaling on a Broadway will be ‘line-of-sight’ with local signals for intersections/crosswalks; switches; and areas of limited visibility/ Line-of-sight greatly reduces the cost of installation. LRT/streetcar can maintain minimum headways (time between trains) of 30 seconds. A ‘peak-hour’ 3 minute LRT/tram service (20 trips per hour), with cars having a capacity of 250 persons, would offer an hourly capacity of 5,000 pphpd. Operating 2-cars in multiple units (no added driver) effectively doubles the capacity to 10,000 pphpd. A 2 minute headway (30 trips per hour), using 2 car sets would offer an hourly capacity of 15,000! 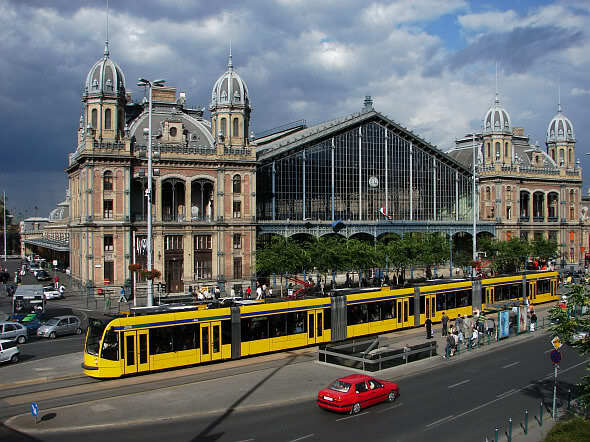 On 3 March 2000 the Dresden Public Transport Co. and the Volkswagen Automobile-Manufacture Dresden GmbH signed a contract for the Cargotram for the delivery of parts from the logistics center in Dresden Friedrichstadt to a new car factory, using a tram running over the cities tram lines. The route from the logistics center to the factory runs straight through the inner city of Dresden and use of trucks would increase in truck traffic, increasing diesel exhaust and traffic congestion. One wonders how much truck traffic could be taken off Vancouver city streets by using a Cargotram style of delivery service on the proposed Broadway ‘rail’ transit project to UBC. 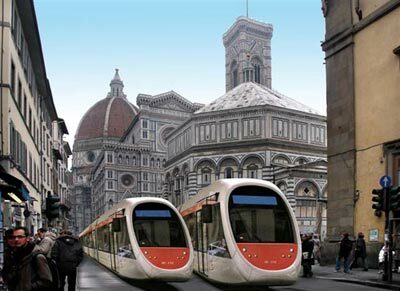 Only modern LRT can be adapted by using cargotram not metro, either conventional or SkyTrain, operating elevated or in a subway. Carogtram could be a natural for light frieght movements from Vancouver to Langley, Abbotsford, YXX, and Chilliwack. The following is Carogtram in operation and could be a common sight on Broadway or the Fraser Valley, if light rail is built. ‘Zwei’ has been taken aback by the viciousness of the SkyTrain Lobby and the great lengths they have taken in discrediting the LRT, while at the same time refusing to acknowledge the marketing failure of the proprietary (ICTS/ALRT/ALM/ART ) light-metro system, known in Vancouver as SkyTrain. 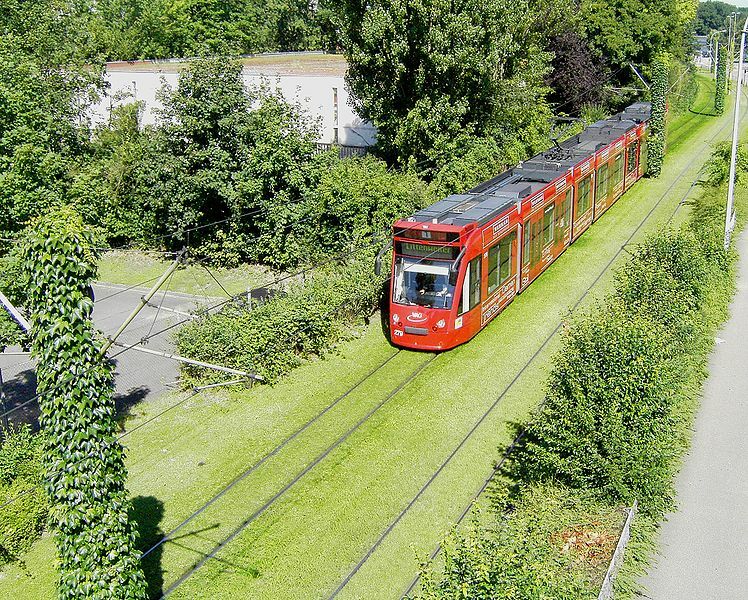 ‘Zwei’ is also taken aback by abject refusal by many supposed experts to take the time to clearly understand modern light rail and/or modern LRT philosophy, instead treating it the same as a glorified bus or a poor-man’s metro. As well, ‘Zwei is dumbfounded, by many of the same supposed transit experts who do not understand the fundamentals of transit and or rail operation, especially from a customers point of view. In Metro Vancouver, many planning bureaucrats abjectly refuse to acknowledge that modern light rail is a very strong tool to mitigate congestion and pollution, which only exacerbates our regional transportation planning ennui. A good example of not understanding ‘rail‘ operation are those who continue to pontificate that automatic transit systems have fewer employees, therefore cheaper to operate than light rail. This simplistic view is wrong and except when traffic flows are in the order of 20,000 pphpd or more, then there are noticeable cost savings in automatic operation. The notion that automatic metros can operate 24/7 is just that, a notion as driverless metro need daily ‘down time’ to adjust and check the signaling system for if something goes wrong, the driverless metro stops and until a real persons checks the system to see why the metro stopped and if it is safe to continue operation, will operation be started again. Unlike LRT, with an on-board driver, automatic metros need a full complement of staff to operate at all hours to ensure the safety of passengers, on trains and in stations. 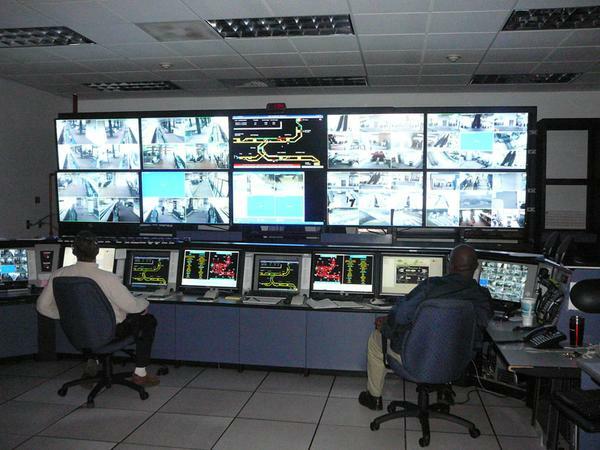 Many LRT operations have service 24 hours a day and with the simplicity of the transit mode, very few staff are needed. Contrary to what many ‘bloggist’s’ post, modern light rail is much cheaper to operate than metro and driverless metro. The hysterical wailings of those wishing grade separated transit systems also ignore the fact that moder LRT is one of the safest public transit modes in the world. The fact that SkyTrain has a higher annual death rate than comparable LRT operations is forgotten in their zeal to discredit modern trams. 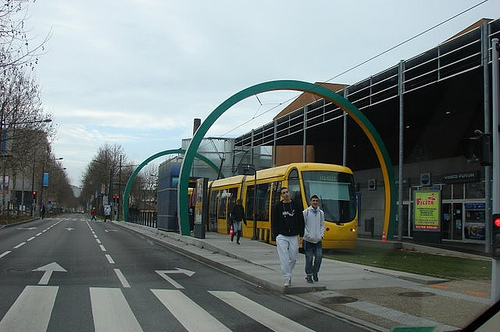 Yes, cars do crash into trams. Yes, car drivers do disobey stop signals and deliberately drive across tram lines in the path of an oncoming trams, with predictable results. Yet tram/LRT/streetcar road intersections are about ten times safer than a road – road intersection. In Europe, if a car driver ignores a stop signal and is in an accident with a tram, the car driver is heavily fined and may lose his right to drive. 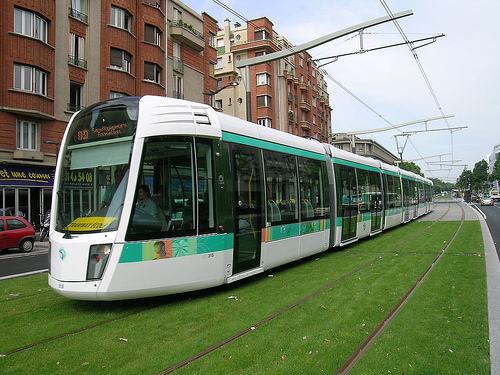 In Europe, autos seldom come to grief with a tram, as the legal consequences colliding with a tram is a strong deterrent. The speed issue is another ‘man of straw’ argument as those who want SkyTrain. They bang the ‘speed‘ drum loudly proclaiming that SkyTrain is fast and speed trumps all in attracting ridership. Speed of ones journey is just one facet of the many reasons why people opt to take public transit. What is true, it is that the overall ambiance and convenience of a ‘rail‘ transit system has proven more important attracting new ridership. Contrary to what many believe, elevated and underground transit stations tend to deter ridership. The speed issue is a non-issue and fact is, if the Vancouver to Chilliwack tramtrain comes into operation, it will have a much faster commercial speed than SkyTrain, yet Zwei would never make the claim that tramtrain would be better because it was faster! Studies have shown (Hass-Klau Bus or Light Rail, Making The right Choice) that in urban areas the most beneficial distance between transit stops is 450m to 600m and with any greater distances between stops tends to deter ridership and stops closer than 450m tend to be too slow. Those want a fast subway under Broadway are commuting from the far reaches of the SkyTrain and or bus network and one would question why they would live so far away to commute to UBC, if they are at all? 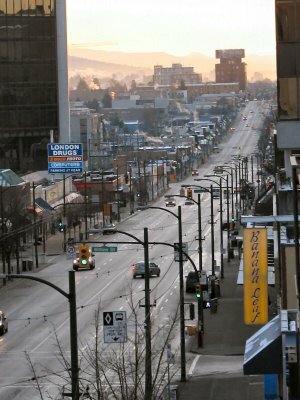 In the real world, transit systems are designed and built to economically move people, not so in Vancouver where transit is built to cater to the needs of land use, thus we continue to build hugely expensive metro lines on low ridership routes (for metro), where selected property owners make windfall profits from up-zoning residential properties to higher density condos and apartments. This is a ‘fools paradise’, because we are spending up to ten times more to install a metro on transit routes that don’t have the ridership to sustain a metro, while at the same time failing upgrade many bus routes to LRT to cater to higher passenger flows, which now demand greater operational economies. Much needed transit upgrades and improvements in the region go wanting to fulfill the extremely expensive and questionable SkyTrain/land use dream on only a few routes. The failure to understand modern light rail is leading the region into a massive financial black hole, by continually building extremely expensive metro while at the same time treating LRT as a yesterday’s transit mode. Today, Vancouver’s transit fares are some of the highest in North America and fares will continue to rise, largely in part due to SkyTrain and light-metro. TransLink will continue to be in financial peril if planning bureaucrats continues to plan and build with metro on the Evergreen Line and the Broadway subway. 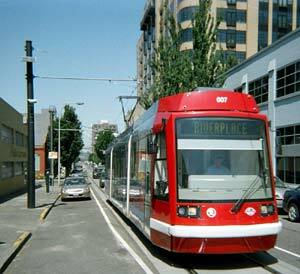 Modern light rail has been crafted, with over 125 years of public transit experience, to fulfill human transit and transportation needs, unlike our automatic SkyTrain light metro, which original design and selling point was to mitigate the massive costs of heavy-rail metro in an age before modern LRT. To put SkyTrain in a subway is an oxymoron and demonstrates the modes proponents gross ignorance of transit history; to continue to build SkyTrain on routes that do not have the ridership to sustain metro demonstrates complete fiscal irresponsibility. The failure to understand the role of modern LRT, streetcars and trams, will lead the region into transit and transportation chaos, where the much needed ‘rail‘ network will be but patches of expensive politically prestigious metro lines linked by buses: impractical, unsustainable, and fool-hardy. Chaleroi light-metro station - Too expensive to complete and never used! Zwei received a phone call from a confused citizen regarding a transit meeting he attended in Vancouver about transit options for Broadway. It seems a state of confusion reigns about what LRT is, what LRT can achieve, and modern transit in general. This is not to unexpected as TransLink has never been clever about LRT and generally has misinformed the public as a result. The following are some common questions that the average person needs answers for, if he/she is able to make an informed decision on transit issues. 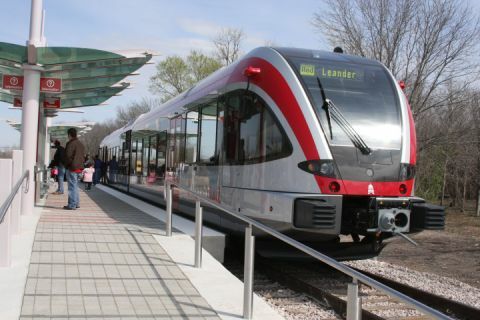 A: LRT or light rail transit is a steel wheel on steel rail transit vehicle, mostly electrically powered from an overhead wire. LRT can handle traffic loads of between 2,000 and 20,000 persons per hour per direction (pphpd) thus effectively bridging the gap of what can be economically be handled by buses and that which needs a metro. Q: What is a streetcar? A: A streetcar is a light rail vehicle which operates on-street, in mixed traffic, with little or no signal priority at intersections. Q: What is the difference of a streetcar and LRT? A: The difference between a streetcar and LRT is when the streetcar operated on a reserved rights-of-ways or a route reserved for the exclusive use of a streetcar and with priority signaling at intersections. By operating on a RRoW, a streetcar is free of traffic and other obstructions, thus obtain higher efficiencies and commercial speeds. Q: what is a tram? 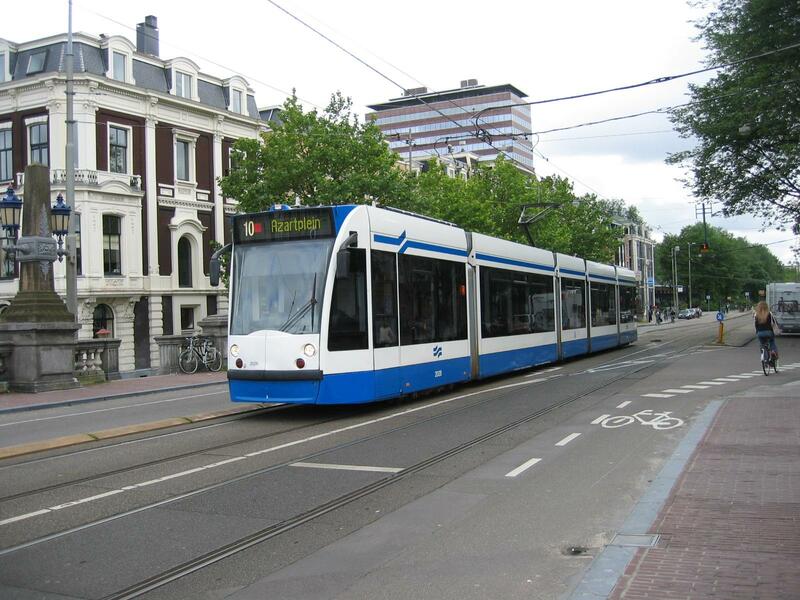 A: A tram is an European term for a light rail vehicle or streetcar. A: Capacity is a function of headway and consists of several variables including vehicle capacity and train length. 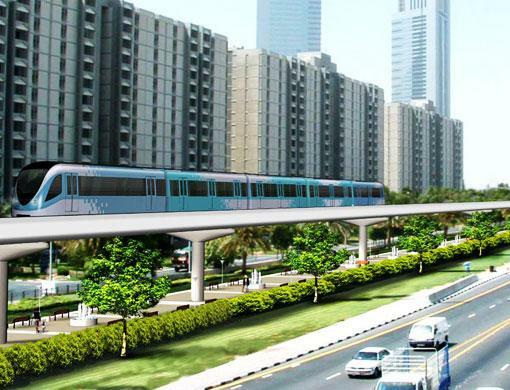 Modern LRT can obtain capacities of over 20,000 pphpd! A transit route operating LRVs, with a vehicle capacity of 200 persons, operating at 10 minute headways, is said to have a capacity of 1,200 pphpd (200 LRV capacity x 6 trains per hour or one train every 10 minutes). A: Headway is the time between trains on a transit route. If a transit route is operating at 6 trains per hour, it is operating at 10 minute headways. Q: What is the minimum headway which LRT can operate? 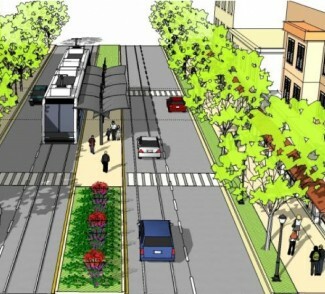 A: The minimum safe headway that streetcars can operate at is about 30 seconds. Q: It has been said that LRT causes massive delays at intersections, is this true? A: No it is not true. LRT with priority signaling (the ability to preempt a traffic signal in favour of the LRV) cause less delay than a standard light controlled intersection. 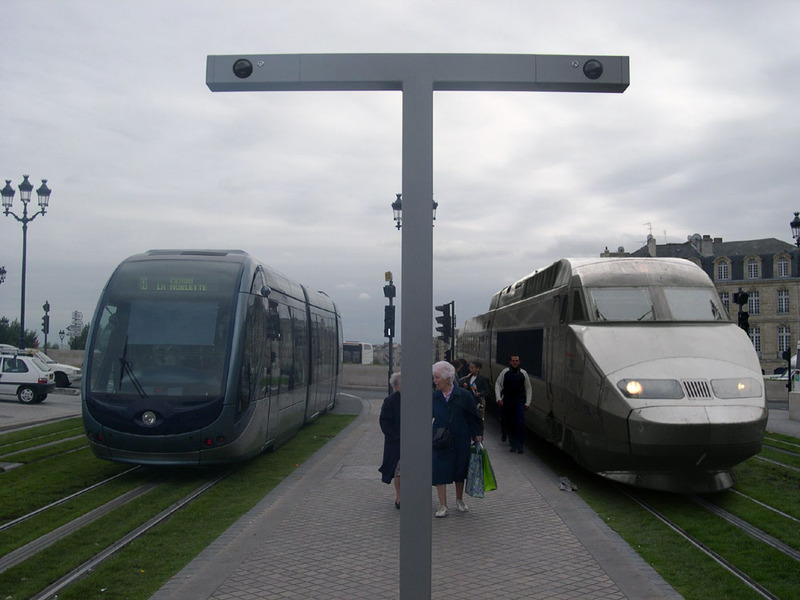 The time for a LRV to clear an intersection is about 4 seconds. Q: It has been said that LRT is much slower than a subway, is this true? A: No, not so; the commercial speed of a transit line is as fast as it has been designed to be. Generally speaking, subways have fewer stops than LRT, thus obtains higher commercial speeds, but at the same time the higher speed sacrifices the customers ability to access the transit system. Given an equal quality RoW, with equal number of station per route, there is no difference in commercial speed. Modern LRT, operating on RRoW’s can obtain almost the same commercial speeds as a subway. Q: I a subway safer than LRT? A: No, subways tend to have a higher death rate than light rail, the SkyTrain metro system’s annual death rate is about 2 to 3 times higher than Calgary’s C-Train. From May’s issue of Tramway’s & Urban Transit comes a list of new LRT openings in 2010, almost one every six weeks. 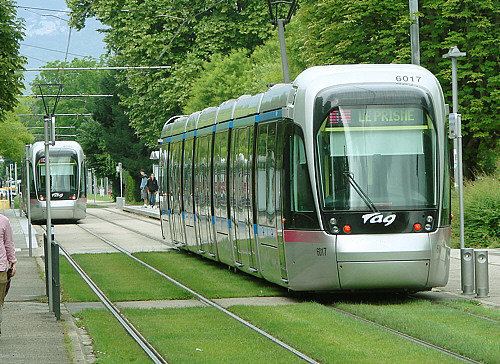 The following is a partial list of new LRT/tram and TramTrain systems. It is interesting to note the increase of TramTrain expansion, both in Europe and in North America. Also, when compared to metro construction at about $150 million/km to $200 million/km, we can effectively build a complete LRT on Broadway for about the same cost of 3 km. of subway. Cost per km: $30.8 mil/km. Cost per km: $6 mil/km. 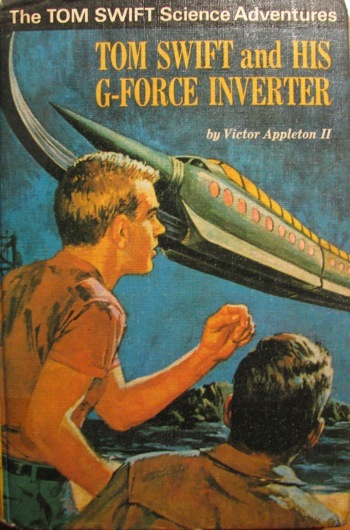 Cost per km: CAD $37.58 mil/km.